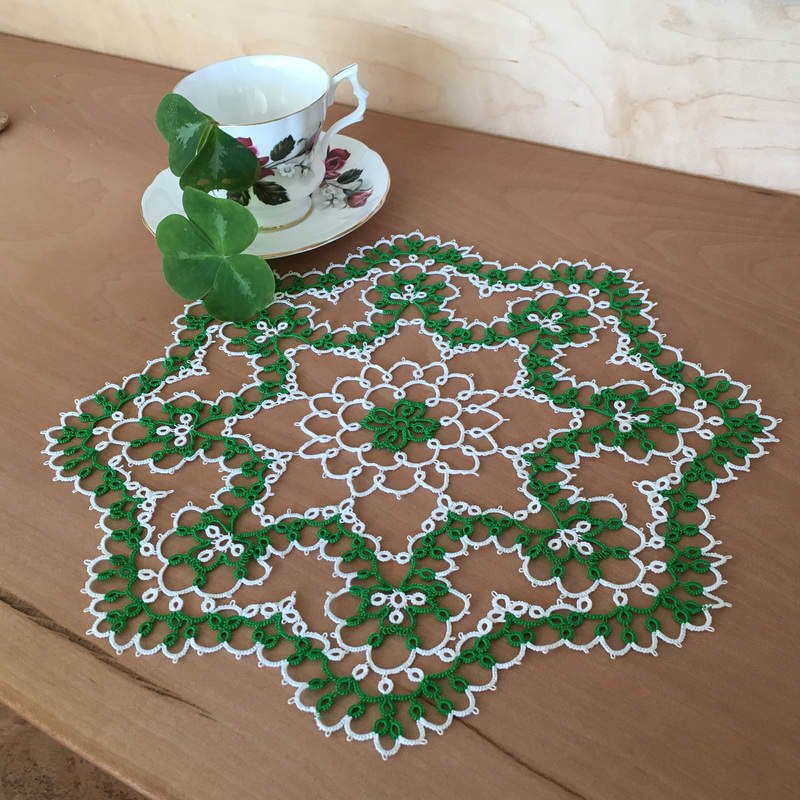 Finished doily Katie now available in my shop! Now available in my knotshire.etsy.com shop! 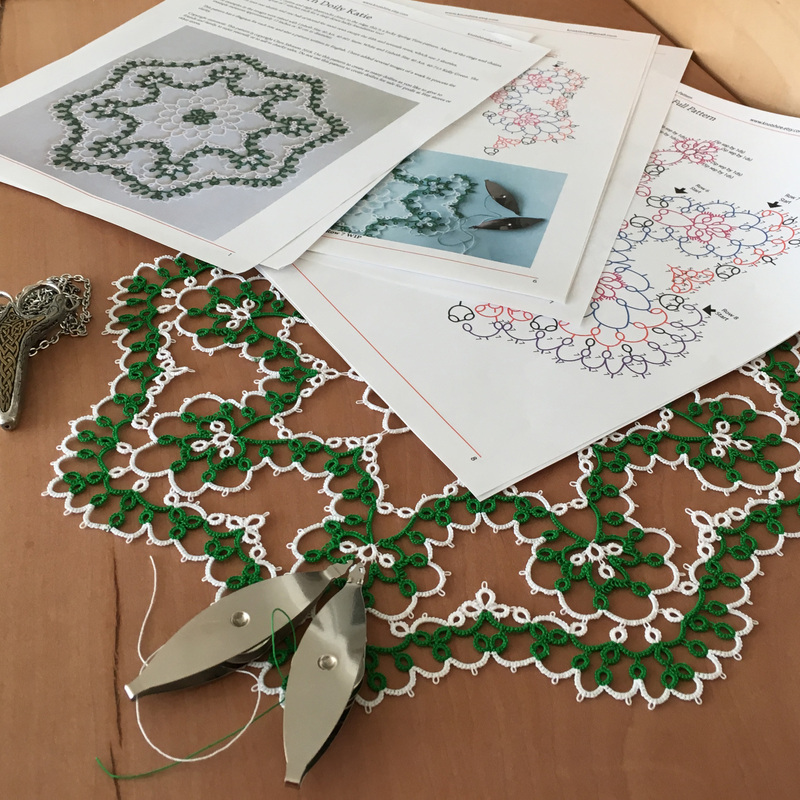 Tatting Pattern Katie now available in my shop! 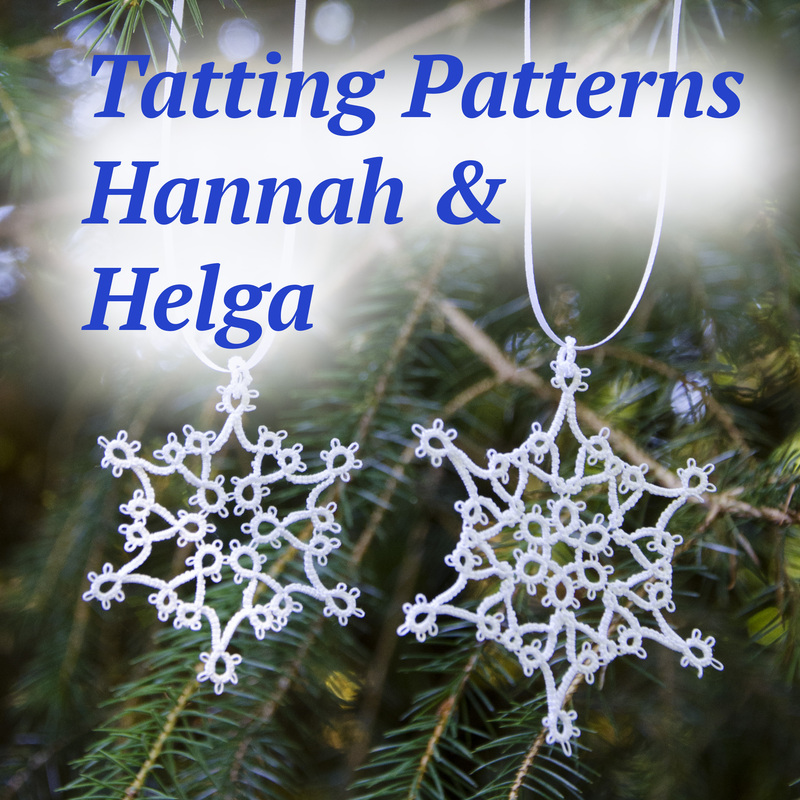 Finished result of my Hannah and Helga pattern creations! This shows the snowflakes tatted with Arctic White thread hand dyed by AlenAleaDesign.etsy.com and Snow White thread from Lizbeth. Now available at my Knotshire.etsy.com shop! My newest pattern Emma is ready for prime time! 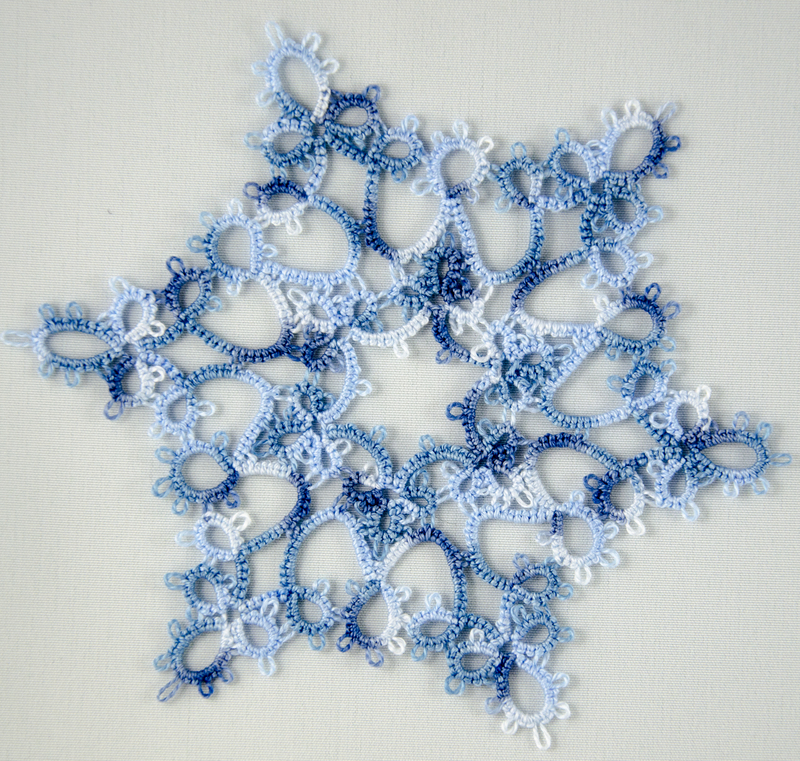 The final result of the pattern I created for my 2015 snowflake I call Florence. Chilly spikes with lots of intricate structure to keep you looking, as you notice new bits. This should be a point to stare off to on your Christmas tree. This is the final result from my snowflake pattern creation for my yearly new design. 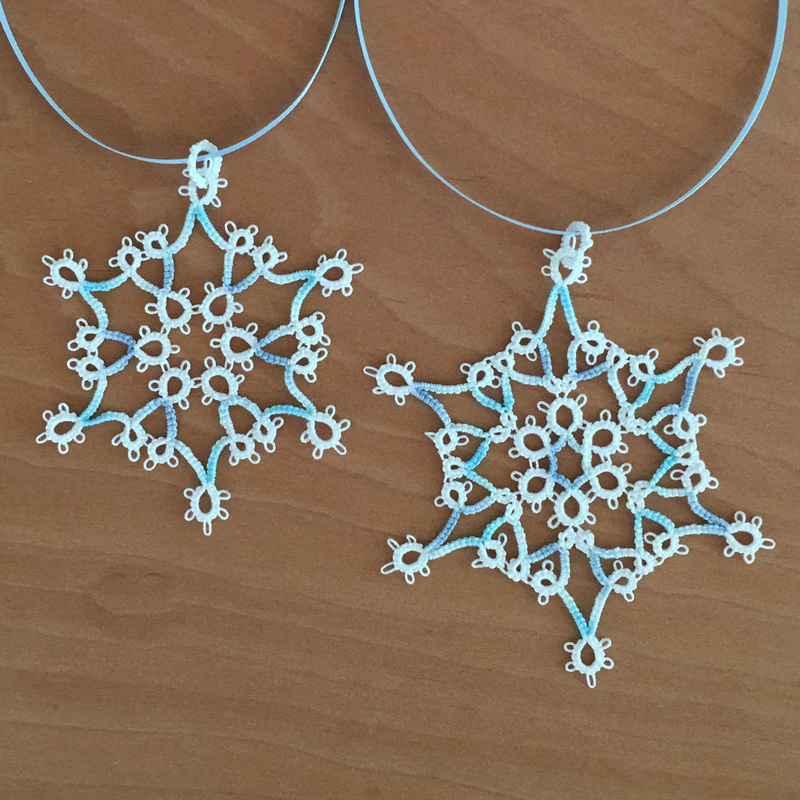 I really like the result, so I will be selling snowflakes like this on my Etsy site, knotshire.etsy.com soon! 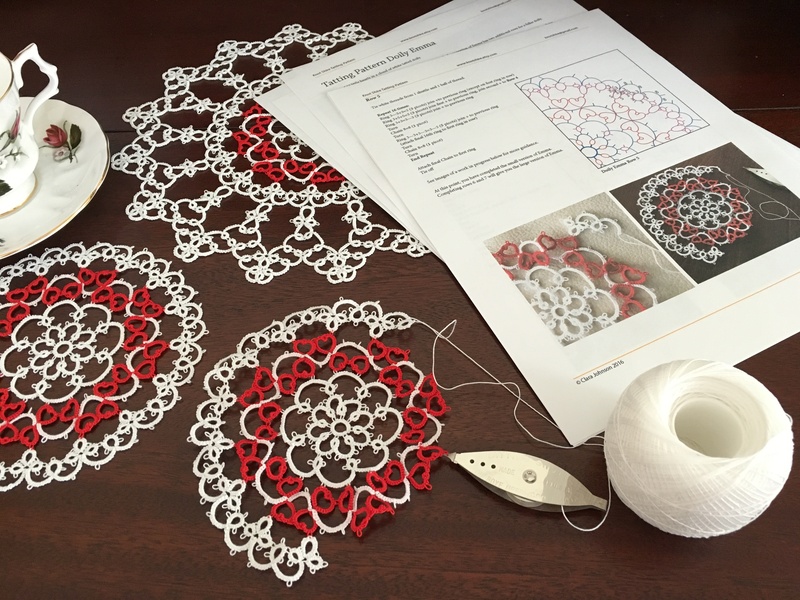 I will also be selling the pattern soon, but I have yet to finish writing it down, and then I need to test it a few times before it goes on sale.